The origin of the human mind is a great problem for conventional thinking about evolution. The problem is that relatively suddenly there appeared a species with many traits that had never been seen before, things like insight, imagination, spirituality, language, mathematical ability, and abstract thinking. If such things had very gradually appeared over the course of five million years, it wouldn't be such a problem. 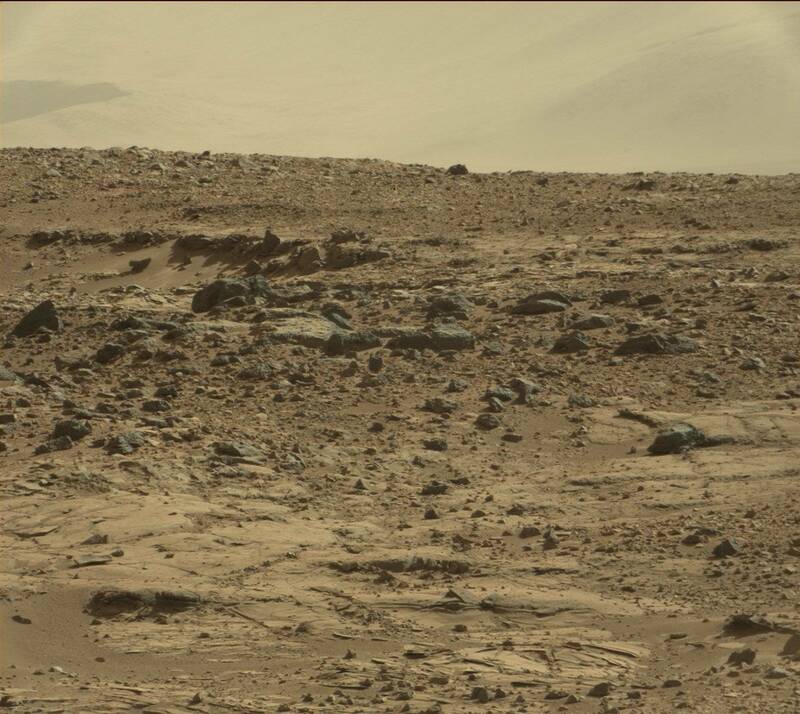 But such things seem to have appeared rather suddenly at a time about 100,000 years ago. At the time the human population was very small, and the smaller the population of a species, the less likely it is to be beneficially transformed by random mutations. 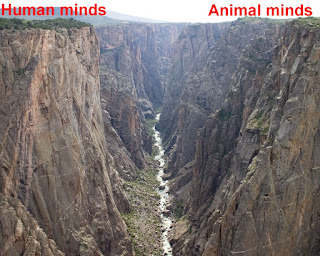 We might call this the “canyon problem.” It is as if the human species magically jumped over a canyon about 100,000 years ago, a vast gulf separating humanity and the other animals. Exacerbating the problem is the fact (discussed here) that quite a few of the uniquely human mental characteristics seem to be things unrelated to survival value, making their appearance not explicable through natural selection. 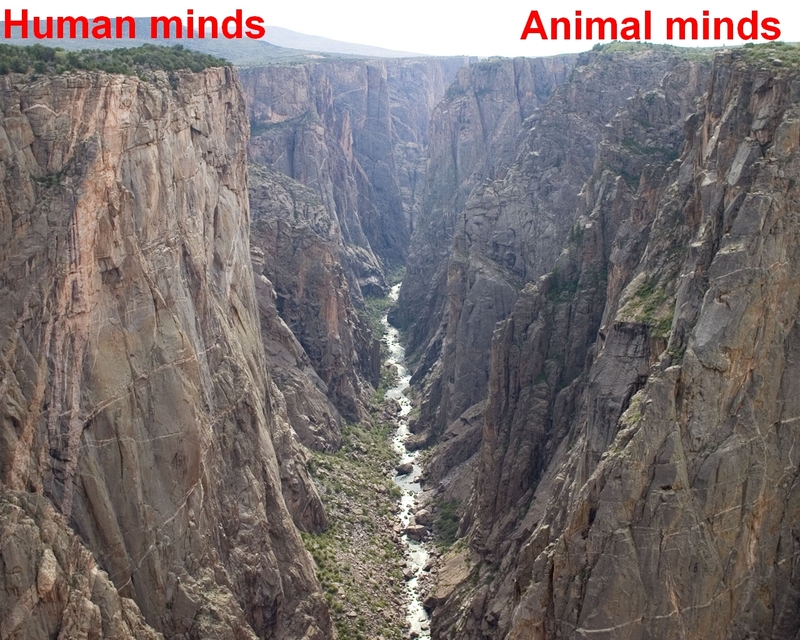 Conventional Darwinists have long had a strategy to try to minimize this credibility problem, a strategy that one might call “trying to shrink the canyon.” The strategy typically follows two general rules: try to humanize the animals, and try to animalize the humans. The “humanize the animals” part works like this: attempts are made to emphasize human-like characteristics in animals, to make it look as if animals are not all that different from humans. The “animalize the humans” part works like this: attempts are made to depict humans as being quite like animals, rather like apes in business suits and dresses. An example of the “animalize the humans” approach was the best-selling book The Naked Ape by Desmond Morris. An example of the “humanize the animals” approach is the recent book Not So Different: Finding Human Nature in Animals by by Nathan H. Lents, a professor of molecular biology. I find this subtitle to be rather like some title of Finding Lunar Nature Inside the Sun or a title of Finding Canine Nature Inside Humans. Lents goes wrong on the very first page of his book, by stating, “The thesis of this book is that underneath even our most complex behaviors are rather simple, genetically coded predispositions that we share with many other animals.” That's misbegotten, since our most complex behaviors include things like building rocket ships, creating physics theories, writing books, programming computers, filling out income tax forms, and posting things to the Internet; and it is not at all true to say that underneath such behaviors are predispositions that we share with animals. Showing that he will rely on a much-criticized and over-hyped line of research called behaviorial genetics, Lents then starts talking about “behavioral programs,” trying to imply that genes code some program for human behavior. They do not. While genes may have some influence on human behavior, anything like a “behavioral program” would require some storage medium using a language vastly more sophisticated than the bare-bones language used by DNA, which is a language merely for stating which amino acids should make up a particular protein. It seems unfathomable that mere DNA and protein could control emotion and behavior, but what else could control them? Anyone who has ever seen a brood of ducklings follow their mother has borne witness to the power of genetically programmed instinct in directing behavior. The modern biologist keeps using this dubious “where else could it be?” logic again and again. He will typically assume that memories are stored in the human brain, using “where else could they be?” logic, even though there is no place in the brain suitable for storing memories lasting for five decades (as discussed here), because of factors such as very rapid molecular turnover in synapses. The modern biologist will also typically assume that the body plans of organisms are stored in DNA, using “where else could they be?” logic, even though there are very good reasons why body plans cannot be stored in DNA (as discussed here), such as the fact that the extremely meager DNA language is completely incapable of expressing either complex three-dimensional blueprints, or sequential instructions for making complex three-dimensional objects. You cannot establish that X is in location Y using “where else could it be?” reasoning, in any case where Y is not a place that can feasibly be storing X. Chapter 2 of Lents' book is entitled “Animal Systems of Justice.” But he does not demonstrate that animals have such a rarefied thing as a “system of justice.” An animal may dole out punishment or reward to another animal, but it is rather laughable to call such behavior a “system of justice,” as if our hamsters, hares and hyenas were Hammurabis constructing codes of justice. Chapter 5 is a 42-page chapter entitled “Do Animals Fall in Love?” But the chapter is almost all about other things, and does not justify any claim that animals do fall in love like humans. Humans use language, and animals don't. Humans have complex abstract ideas, and animals don't. Humans design and build complex things, and animals don't (with the possible exception of beavers, who build dams that aren't very complex). Humans create representational art, and animals don't. Humans feel awe when they look at the stars and wonder when they look at a sunset, and animals don't. Humans form religious ideas, and animals don't. That was to be expected, because while the human genome has been exhaustively studied, there has been no series of replicated studies that found a gene specifying a particular complex behavior. There is no aggression gene, no philosophical thinking gene, no creativity gene, no spirituality gene, no sociability gene, no “build things” gene or anything of the sort. The methodology of behavioral geneticists is highly susceptible to false positives. Researchers select a group of people who share a trait and then start searching for a gene that occurs not universally and exclusively but simply more often in this group than in a control group. If you look at enough genes, you will almost inevitably find one that meets these criteria simply through chance. Lents ends his book by quoting Darwin, who said, “Nevertheless, the difference in mind between man and the higher animals, great as it is, certainly is one of degree and not of kind.” This assertion itself is certainly false. A human mind that can use abstract reasoning, contemplate the mysteries of existence, design cities, compose symphonies, and create physics theories is obviously a different kind of mind than the mind of an animal; the difference is not at all merely one of degree. The “canyon problem” I referred to remains, and Lents has failed to shrink the canyon. Postscript: One of several ways to try to deal with this "canyon problem" is to appeal to the possibility of extraterrestrial interference in human evolution. The fairly sudden appearance of the more refined human mental traits is probably a better point of favor of such a hypothesis than any of the archaeological items that are frequently mentioned on the Ancient Aliens television show. Two recent examples are the "Mars mouse" shown at the top of this original NASA photo, and the Mars dome shown at the top of this original NASA photo. The composite photo below shows the "mouse" and "dome." In September 2015 one of the Mars robotic probes photographed what looks like a long spoon, one that rather seemed to be levitating above the ground. 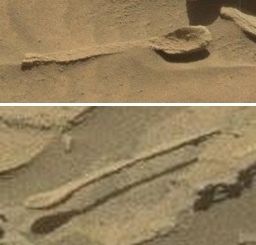 Now a newly examined photo from Mars shows another “long spoon.” Below are the photos side by side. The original NASA photos can be found here and here. When such anomalies occur, skeptics are quick to trot out what they call a “scientific explanation”: pareidolia, the supposed tendency of the mind or brain to interpret random pieces of matter as being something familiar, like a face or a spoon. Is this actually a scientific explanation? No, it isn't. Evoking pareidolia is just another way of saying something is a coincidence. Whenever you say that something is coincidental, you never are giving an explanation; you are instead really indicating that you have no explanation. Imagine the case of someone who photographs a cloud that looks very much like a human figure. There are two ways in which a skeptic might respond: he might claim that it was just a coincidental arrangement of matter, or he might say that it was pareidolia that the cloud is being compared to a human. But both responses are basically the same thing. There was merely a coincidental random arrangement of matter. The mind interpreted this random arrangement of matter as something meaningful. Now, are any of these statements actual explanations? No, they are non-explanations. The person appealing to coincidence is always someone saying the equivalent of, “I have no explanation.” An explanation of a physical thing occurs when you mention some causative factor that explains the characteristics of the thing. You do no such when you evoke pareidolia. Of course, it sounds more appealing to say, “The scientific explanation is pareidolia,” than to say, “The explanation is that I have no explanation.” But when you evoke pareidolia, you are simply saying it was a coincidence; and by saying that you are giving away that you have no explanation. Pareidolia is a non-explanation masquerading as an explanation. If scientists were to produce an account of how Mars might have a tendency to produce geological objects looking like long wooden spoons, that would be an actual explanation for the startling pair of spoon-like objects. But no such account seems possible, given that no desert on Earth tends to produce such objects naturally. Have Super-advanced Extraterrestrials Become Robots, Or Something Even Weirder? The universe is billions of years old, and there has been at least a billion years for intelligent life to arise on other planets. But if there are extraterrestrials vastly more advanced than us, what form would they take? Some scientists say they probably look like some protoplasmic life form totally different from ours. But other scientists think that advanced extraterrestrial civilizations have probably advanced “beyond the flesh.” The idea is that the extraterrestrials have evolved into robots. Some scientists have said that if an extraterrestrial spaceship lands on our planet, we should not expect some weird biological form to emerge from the spaceship. We should instead expect to meet nothing but robots coming out to greet us. But while it may seem like a reasonable extrapolation of Darwinian ideas, the idea of a biological race of beings evolving into robots has great difficulties. The main difficulty is that we have no evidence that any type of robot or computer can actually possess the slightest bit of consciousness, understanding, insight or comprehension. Computers are good at information processing, but that's not the same as real understanding. A computer may be able to instantly answer the question,”On what day was the fattest American president born?” But the computer has no actual understanding of what it is to be fat, what it is to be born, what it is to be an American, or what it is to be an American president. And contrary to those who say, “Computers will start understanding once they get better or faster,” there is every reason to doubt that this will happen. Consider a large modern computer consisting of many chips and many bits of software called subroutines. It is hard to imagine any type of situation like this happening: the machine will have no understanding of anything while it has less than a million chips and a billion subroutines, but once you get to a million and one chips or a billion and one subroutines, then suddenly it will be able to understand for the first time. Part of the problem is that we are not actually sure that consciousness does arise purely from the brain itself. It is all too possible that our consciousness involves something much more than the brain – perhaps something like a soul, or some mysterious cosmic infrastructure that enables consciousness. As discussed here, there are reasons for thinking that our bodies or brains are more of a receptacle or a receiver for consciousness rather than the sole generator of it. Considering that we cannot account for how our brains could possibly be storing and retrieving so quickly memories that are decades old (as discussed here and here), it seems all too reasonable to doubt that the brain is the sole generator of our consciousness. Given all these factors, there seems to be little plausibility in the idea of an extraterrestrial civilization making a transition from a biological state to a robotic state. Biological organisms with consciousness would never want to transition into a robotic state that did not have consciousness (that would be like suicide for them). And if computers and robots never gained consciousness, we would never see the “robots wipe out their creators and take over the planet” type of scenario. A set of robots would never be programmed to wipe out their creators. If they lacked the consciousness necessary for independent initiative and independent ideas, they would not independently come up with the idea of doing such a thing. Further, it may be more efficient for a self-improving superintelligence to eliminate consciousness. ... A superintelligence would possess expert-level knowledge in every domain, with rapid-fire computations ranging over vast databases that could include the entire Internet and ultimately encompass an entire galaxy. What would be novel to it? What would require slow, deliberative focus? Wouldn’t it have mastered everything already? Like an experienced driver on a familiar road, it could rely on nonconscious processing. The simple consideration of efficiency suggests, depressingly, that the most intelligent systems will not be conscious. On cosmological scales, consciousness may be a blip, a momentary flowering of experience before the universe reverts to mindlessness. This thinking involves a great confusion. While people sometimes use the word “intelligent” to describe a computer that performs well, such a use is rather metaphorical. A computer has no real intelligence in the sense of understanding or comprehension. When we talk about intelligence, comprehension, consciousness, and understanding, we are largely talking about the same things. So the unconscious “superintelligence” imagined by Schneider would not actually be an intelligence at all. It would be a lot of information processing incapable of actually understanding anything. Actual understanding is something that can only occur in a conscious entity. If Schneider is advancing the idea that you don't need consciousness to be superintelligent, I think that's all wrong, and does nothing to substantiate the idea that an extraterrestrial civilization might evolve to become robotic. But if we are thinking about far-out ideas about how extraterrestrials might evolve, there's another idea that might be worth considering: the idea that extraterrestrials might have evolved to be beings of pure energy or pure spirit. This would be the ultimate way of achieving immortality. If you are an extraterrestrial with a robot body, you will still have to worry about your electronic or metal parts wearing out one day. But if you are an extraterrestrial that is pure energy or pure spirit, you will have no such worries. We actually have some evidence from psychic phenomena (such as near-death experiences) suggesting that consciousness can exist outside of the brain. As is very well-documented in the recent book The Self Does Not Die, quite a few people undergoing near-death experiences report floating above their bodies, and observing their bodies, often while medical personnel were attempting cardiac resuscitation. Such evidence may suggest that the idea of a pure energy consciousness or pure spirit consciousness may be quite viable. When people think about consciousness separating from the body, they typically imagine progression to some afterlife realm. But what if some race of super-advanced extraterrestrials was able to achieve such separations through some technological means? They might stay around their planet, and live as a race of pure energy beings or pure spirit beings. We see no sign of any physical tinkering by extraterrestrials in the galaxy. The most promising possible case was the case of Tabby's Star, but a recent analysis suggests that strange star has a natural explanation. Perhaps this lack of galactic reorganization is a sign that super-advanced extraterrestrials are beings of pure energy or pure spirit. Such entities might have little need to create structures for themselves. Extraterrestrials of pure energy or pure spirit might be able to temporarily inhabit different biological bodies or robotic bodies, in a kind of “possession.” Think of the advantages of that. On any day you could try being a male, a female, a flying animal, an underwater creature, a flying car, or a speeding spaceship. When you were bored with that, you could just go back to being an unattached pure energy being. I may note that the idea that super-advanced extraterrestrials will be robots would seem to imply that there would be extraterrestrial robots all over the galaxy. But we see no signs of such robots in our galaxy. When UFO “close encounters of the third kinds” occur, witnesses virtually never report seeing robots. We do, however, see mysterious energies in our skies, and mysterious orbs that show up in photos. Could such things be signs of pure-energy extraterrestrials touring around our planet? Why Are We Surprised by the Paranormal in a Universe That Began in the Weirdest Way Imaginable? Discussions about the plausibility of the paranormal typically involve discussions of whether particular examples of evidence for the paranormal are convincing. But there is a very different way to approach the issue of whether the paranormal is plausible: we can consider the matter from a kind of a priori standpoint. We can ask ourselves: given what we know about the universe (its origin, its composition, its contents, its laws), and what we know about mankind's level of knowledge, should we be surprised to witness paranormal phenomena? The universe we see is very orderly, intelligible and predictable. In such a universe we should not expect to see disorderly, mysterious and unpredictable things such as are described in the literature on the paranormal. Such an argument is fallacious for several reasons. One reason is that you are not entitled to conclude the unlikelihood or non-existence of non-X simply because you have made some observations of X. An example will show this. Let us imagine some African villager around 1700 who has observed only black skins on humans. From such observations, such a villager has no basis for concluding that he should not expect to see humans with white skins. In fact, at any time such a villager might have been abducted and sold into slavery by one of the white slave traders who plagued African villages at this time. There is another reason why the argument above is fallacious. Within the set of all possible universes, which would include an infinite number of chaotic, messy, disorderly universes, the set of universes that are orderly, lawful, and predictable is presumably a very tiny subset. So if we are in an orderly and lawful universe, this may imply some intelligent agency that helped to bring about such order. If such an agency exists, the door is opened to the paranormal in innumerable ways. There might be miracles or paranormal acts performed by such an agency, or other spiritual agencies that it created. Living in an orderly universe, we might think such things are quite possible; but they might be very unlikely if we somehow lived in a disorderly and chaotic universe. So from the orderliness and lawfulness of nature, we have no basis for concluding that the paranormal is unlikely. Let's consider another facet of the universe: its size and extent. We live in a planet revolving around one star, a star that is only one of billions of similar stars in our galaxy. There are billions of galaxies similar to our own. The universe is believed to be about 13 billion years old. Do such facts imply anything about the likelihood of the paranormal? It would seem that such facts should imply a much higher likelihood of the paranormal. Our galaxy may be teeming with intelligent life, and that life may be mysteriously interacting with our planet in any number of ways. Intelligent life that arose many millions or billions of years ago may have evolved into some immaterial or godlike state (Arthur C. Clarke imagined extraterrestrials evolving into a pure energy state). This implies that an incredibly large number of paranormal possibilities might occur. The possibilities are not limited to spaceships appearing in our skies. Perhaps such godlike extraterrestrial entities might interact with us in some mysterious way that we interpret as a psychic phenomenon, an apparition, or an angelic visitation. If ours was the only planet in the universe, we might rate such possibilities as being very unlikely. But in a galaxy that might be teeming with life, the likelihood of such things occurring may be very high. Another thing we know about the universe is its beginning. The beginning we have discovered is the strangest beginning imaginable. Scientists say that in the Big Bang the whole universe suddenly popped into existence, and that an instant later the whole universe was some tiny size, almost infinitely hot and dense. We are told that all of the mass-energy of the observable universe was once crunched into the size of a baseball. This is the weirdest universe origin we can imagine, and in light of such a supreme weirdness we should not be very surprised about observing weird paranormal things. It's rather like this. Suppose you go to a baseball stadium, and you are told that some hitter once a hit a baseball clear out of the stadium. Given such a fact, should you be very surprised to see a hitter hit the ball not so far, merely into the first row of the center-field bleachers? No, you should not be surprised by that. Similarly, in a universe that began in the weirdest way imaginable, should we be very surprised to see some bit of paranormal weirdness (a UFO sighting, an apparition, some telepathic event) that is nowhere near as weird as such a beginning? No, we should not. Another way to ponder whether we should be surprised by the paranormal is to ask: should we be very surprised by the paranormal, given the current state of human knowledge? It is quite common to try to discredit claims of the paranormal by advancing various types of triumphal narratives in which modern science is depicted as an almost-completed undertaking, and scientists are depicted as those who have “pretty much figured out” nature. But there's a counter-narrative that's a lot closer to the truth. Modern science is only a few centuries old. Modern computerized science is only a few decades old. Why should we expect scientists to have largely figured things out in such a short time frame? When we make a list of the things that scientists do not know and typically admit that they do not know – for example, the nature of things such as dark matter and dark energy, the cause of the Big Bang, how life originated, how memory retrieval works, and whether life is common or very rare in the universe – we have enough to discredit any claims that scientists have “pretty much figured out” nature. When we add to this list the set all of the things that scientists typically claim to understand but do not actually understand because of their current runaway overconfidence – things such as how species originate and whether consciousness is generated solely by the brain -- we have a list of unknowns so large that any claims that our scientists have things “pretty much figured out” become rather laughable. In light of such realities, we should regard the paranormal as being far from unexpected. 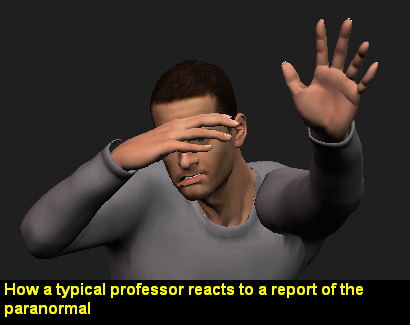 We may also consider the habits of the modern scientist, who by force of social pressure implicitly declares many types of inquiry to be taboo (as shown in this deplorable recent example of censorship). When you are not investigating something, and your community has by custom declared it to be kind of “off limits,” then what business do you have making pronouncements about its likelihood or unlikelihood, its existence or nonexistence? In the early seventeenth century there was an entrenched orthodoxy which was making some dogmatic pronouncements it had no business making. Moving beyond their field of expertise, some Catholic authorities had declared support for geocentrism, the idea that the earth is at the center of the solar system. But there was a lone investigator, Galileo, who made observations challenging such a doctrine. Galileo had no “big science” culture behind him, no fancy heavy iron instruments. All he had was a little hand-held telescope no heavier than a walking cane. Now in one way the tables have turned. It seems that our university scientists are now the entrenched orthodoxy sometimes making dogmatic pronouncements they have no proper business making. Moving beyond their sphere of expertise, we sometimes hear such people make pronouncements about the paranormal as unwarranted as the seventeenth century church bishop's pronouncements on the solar system. And these modern experts often fail to examine the paranormal topics they are talking about, in a way reminiscent of the Church authorities who refused to look through Galileo's telescope when he invited them to do so. In defiance of such declarations are individual paranormal investigators armed with things as lightweight as Galileo's little hand held instruments: things such as point-and-click cameras, palm-sized tape recorders or a pack of Zener cards. Are some of these investigators the new Galileos? 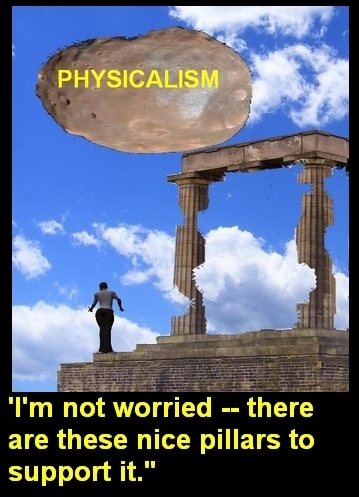 Physicalism is the doctrine that all that exists are physical things: mass, energy, fields, and so forth. The term means basically the same thing as materialism. If you are a physicalist, you think that all human mental experiences are purely the result of the brain. Your memories must be stored in your brain, although I haven't a clue as to where in the brain they are stored. Maybe they are in the middle of your neurons. Or maybe your memories are in the axons that connect nerve cells. Or maybe your memories are hiding out in your DNA. Or maybe your memories are in that watery liquid splashing around in the brain. Or maybe memories are stored in synapses. Or maybe memories are stored in the network of holes in the brain, kind of like data written in the holes of punch cards. Sheesh, I have no idea, but I know your memories must be stored SOMEWHERE in your head. Of course, talk like that sounds quite scatterbrained, so a physicalist must be a little more specific. To have any credibility, he must have an answer to the question: where in the brain are memories stored? For a few decades, a stock answer has been given by neuroscientists: they have generally claimed memories are stored in synapses. Synapses are junctions between nerve cells in the brain. But there is a great problem with this stock answer. Human memories are known to last for more than 50 years, but synapses are not a stable platform for the storage of information. The standard tale told by neuroscientists has been that memories are stored as changes in the strengths of synapses, what are called synaptic weights. But the things that make up such synaptic weights are protein molecules that have a very short lifetime. The protein molecules in synapses have a lifetime of no longer than a few weeks (this paper finds that they turn over at a rate of about 17% per day). Besides this very rapid molecular turnover, there are other types of structural turnover making synapses an unstable platform for long-term memory storage. What are called dendritic spines in synapses last no more than about a month in the hippocampus, and less than two years in the cortex. This study found that dendritic spines in the hippocampus last for only about 30 days. This study found that dendritic spines in the cortex of mice brains have a half-life of only 120 days. The research of Stettler suggests that synapses themselves have a half-life of only about 3 months. In a previous post published in August, 2016, I discussed such issues, and I argued that very long-term memories (such as 50-year old memories) cannot be stored in synapses as has been so often maintained. In November 2016 there appeared a scientific paper that substantiates a good deal of my reasoning. When we are looking for a mechanism that implements a read/write memory in the nervous system, looking at synaptic strength and connectivity patterns might be misleading for many reasons...Tentative evidence for the (classical) cognitive scientists' reservations toward the synapse as the locus of memory in the brain has accumulated....Changes in synaptic strength are not directly related to storage of new information in memory....The rate of synaptic turnover in absence of learning is actually so high that the newly formed connections (which supposedly encode the new memory) will have vanished in due time. It is worth noticing that these findings actually are to be expected when considering that synapses are made of proteins which are generally known to have a short lifetime...Synapses have been found to be constantly turning over in all parts of cortex that have been examined using two-photon microscopy so far...The synapse is probably an ill fit when looking for a basic memory mechanism in the nervous system. So if memories are not stored in the synapses of your brains, where are they stored? Trettenbrein offers no answer. How can he, when there are no other places in the brain suitable for storing memories that could last for 50 years? I explained in my August 2016 post why it is that other possibilities for memory storage such as DNA in neurons are not suitable explanations. We are familiar with cellular processes that read DNA during what is known as transcription, and we know that information from DNA is read many times too slow to account for the basically instantaneous speed with which humans retrieve memory. Imagine a Broadway producer who discovers that his star cannot perform, but who has no understudy who can fill in. Such a producer is like a neuroscientist realizing that synapses aren't up to the job of explaining very long-term memories – there is no alternate part of the brain that can be called up to fill in the theoretical hole, like some understudy filling in the gap. Trettenbrein gives this astonishingly frank and quite correct assessment: “To sum up, it can be said that when it comes to answering the question of how information is carried forward in time in the brain we remain largely clueless.” Such intellectual candor in a scientist is a refreshing change of pace. The very first thing that any computer scientist would want to know about a computer is how it writes to memory and reads from memory....Yet we do not really know how this most foundational element of computation is implemented in the brain. The apparent impossibility of explaining how brains could store memories for 50 years is perhaps exceeded by the apparent impossibility of explaining how humans could instantly retrieve such memories. Neuroscientists don't even have any decent theory for this, and mainly just kind of shrug their shoulders when this puzzle is mentioned. A neuroscientist cannot describe in detail any brain functionality that is like any single one of these things, but somehow old men are able to instantly recall 50-year old memories. How then can we not conclude that this must involve something much more than the brain? The synapse doctrine of memory storage is a pillar of physicalism, but that pillar is crumbling, as more and more evidence comes in that synapses are an unstable “shifting-sands” type of platform completely unsuitable to explain human memories that last for 50 years. But what happens when our scientists eventually realize that the “jig is up,” and that they can no longer get away with telling this never-proven story that memories are stored in synapses? Will they then abandon physicalism, and realize that the human mind must be at least partially the result of something more than just the brain, perhaps some soul or some mysterious consciousness reality that transcends the human body? Similarly, even though there seems to be absolutely no specific place in the human brain that could be storing memories that last for 50 years, our neuroscientists will probably just keep jumping around from one untenable “brain storage of memories” theory to another, telling themselves, “Those memories must be stored somewhere in your head.” They could make a leap of imagination to postulate spiritual possibilities beyond the brain – a soul or some wider consciousness infrastructure beyond the brain. But although quite plausible, and also strongly suggested by various psychic phenomena, such possibilities are taboo in a regimented academic culture that currently acts like a straightjacket on many a mind. When I was a boy reading about the prospects of intelligent life on other planets, I came to the conclusion that it was likely that within a few decades mankind would receive radio signals from other worlds. I thought this was quite likely to occur before the end of the twentieth century. Authors such as Carl Sagan were making it sound like we could expect to pick up extraterrestrial radio signals before very long. Sagan kept telling people that there were a million extraterrestrial civilizations in our galaxy alone. With so many civilizations, how long could it be before we picked up a radio signal from one of them? But it is now the year 2016, and no such radio signal has been received. SETI (which stands for Search for Extraterrestrial Intelligence) is the term used for the scientific quest to detect extraterrestrials by looking for radio signals. 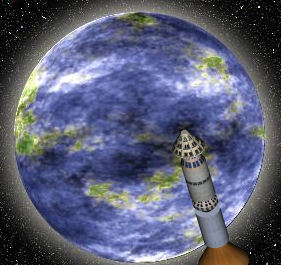 SETI has been a flop thus far, a failed enterprise. So we don't often see SETI experts on our television screens. When we do see our SETI experts on television, it is often on television shows discussing UFO sightings. But this doesn't make sense, because there are several reasons why SETI experts make lousy commentators on UFO sightings. The first reason is that being a SETI expert is in no way a qualification for saying anything about a UFO sighting. You might think otherwise, on the grounds that SETI experts “know extraterrestrials.” But they don't. If SETI ever pays off, and radio signals are received from some extraterrestrial civilization, then (after what may be a long period of deciphering and analysis) it may become true that SETI experts know something about extraterrestrials. But right now our SETI experts don't know a thing about extraterrestrials. 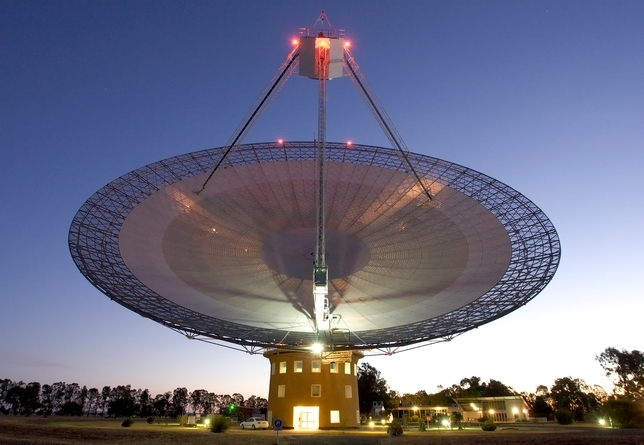 The radio search for extraterrestrials (SETI) involves a set of things that has nothing to do with UFO sightings. SETI experts know things such as big radio telescopes, computer search algorithms, which planets might be habitable, and natural and artificial radio sources. No such things come into play in UFO sightings. So a SETI expert is no more qualified to pontificate about a UFO sighting than your plumber or your hairdresser. 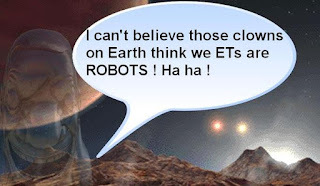 A second reason why SETI experts make lousy UFO commentators is that it seems whenever SETI experts talk about UFO sightings, they seem to show no evidence of having researched the facts about the sightings, and resort instead to lazy armchair reasoning that might occur to anyone. In this way they follow a kind of rule of laziness typically followed by scientists trying to debunk ideas that may be taboo in their little tribe of scientists. Similarly, 95% of scientists making dismissive comments about extrasensory perception (ESP) or life after death show no sign of having researched the evidence for such things. The armchair arguments made by such SETI experts are extremely weak. One of their arguments is that if extraterrestrials were to ever arrive, we would see a spaceship the size of Manhattan orbiting our planet, or a UFO landing on the White House lawn. Such arguments are not valid, because such possibilities are merely two of a million possible ways in which extraterrestrials might interact with us. Another armchair argument I recently heard by a SETI expert is that sightings of UFOs should be dismissed because they are merely eyewitness testimony, and don't involve permanent physical evidence. Using similar reasoning, we would have to let half of the murderers in prison walk free, because their convictions were based only on eyewitness testimony. A third reason why SETI experts make lousy UFO commentators is that within this little tribe of scientists there seems to be some weird strategy that goes rather like this: SETI experts think that they can make themselves look like discerning, “no nonsense” scientists by dismissing all evidence of extraterrestrials except for the type of radio evidence they are looking for. This thought process is very weird. We can imagine a similar thing going on in the mind of a scientist researching Bigfoot. Scientist: So I have asked the National Science Foundation for 10 million dollars in research money. I will use the money to fund a team of scientists who will go into the deep forests of northern Canada, and look for infrared heat signatures coming from Bigfoot creatures. Reporter: Interesting. Do you believe any of those people who claim to have seen Bigfoot? Scientist: Seeing Bigfoot ?!? Why, I don't believe in that type of nonsense. It makes no sense for SETI experts to follow such a strategy. The more evidence there is for extraterrestrial visitations on our planet, the more likely it is that some SETI radio search for extraterrestrials will pay off. So why should SETI experts have a predisposition to reject UFO sightings? Perhaps it is some kind of “no one shall come to the extraterrestrials but through my path” thinking on the part of the SETI expert, similar to the “no one can come to God but through our path” thinking of narrow-minded theologians. A fourth reason why SETI experts make lousy UFO commentators is a psychological reason. UFO sightings may act as a kind of “salt in the wound” for scientists who have invested decades of their life in a failed search for extraterrestrial signals. Let's imagine you tell a person there are two investment options: Investment 1 and Investment 2. The man invests $20,000 in Investment 1, and loses all his money. Now suppose you say to this person after he had lost all his money: you would have made a million dollars if you had invested in Investment 2. Will this person tend to accept such an idea? No, he will never believe it. The man's loss of his $20,000 is his wound, and telling him that he would have become rich if he had invested in the other option is like rubbing salt in his wound. How foolish of me. I bet my money on the wrong horse! Rather than spending decades in a fruitless search for radio signals from extraterrestrials, I should have been investigating UFOs. Think of what I could have accomplished if I had gone down that path. But such thoughts are too psychologically painful. So the empty-handed SETI researcher is someone we can always expect to speak dismissively of UFO sightings. Even when they are as dramatic as the Hudson Valley UFO sightings of the 1980's, in which thousands of people reported seeing UFOs the size of a football field (according to a report in the New York Times). 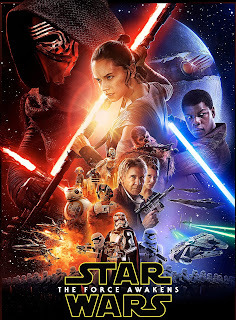 Is the Force in Star Wars the Seed of a Great Philosophical Theory? I have greatly enjoyed the various Star Trek series and movies over the years; and I can still remember the excitement I felt as a nerdy teenager when I first bought a book explaining all the details of the original Star Trek series. But one little complaint I have about the various incarnations of Star Trek is that none of them seems to have a spiritual bone in the body. While we may see what seems to be an occasional ghost or a spirit in Star Trek, it is always eventually explained away in non-spiritual terms. There is a hint of spirituality in the fifth Star Trek movie, involving a search for God, but the “god” turns out to be some rather malevolent local entity. About the only spiritual things I can remember in the many versions of Star Trek is the empathic ability of counselor Deanna Troi, who has an apparently psychic ability to sense other people's feelings, and also a similar ability Spock briefly displays in one episode of the original Star Trek series, in which he senses the distant deaths of fellow Vulcans in a starship. The Force is what gives a Jedi his power. It's an energy field created by all living things. It surrounds us and penetrates us; it binds the galaxy together. Yoda the Jedi master of the Force explains it this way: “Life creates it, makes it grow. Its energy surrounds us and binds us." In the Star Wars movies, the Force is associated with psychic powers such as telepathy and psychokinesis. The masters of the Force known as Jedi can influence the minds of others through thought suggestion, as Obi-Wan Kenobi does when he gets out of a jam by telepathically influencing the mind of security guard. A Jedi can also sense distant important events by sensing a disturbance in the Force, as Obi-Wan does when he detects a “great disturbance in the Force” when the Death Star destroys a distant planet. A Jedi can even use the force to move objects such as a light saber. Someone can also use the Force to achieve things he could never normally do, such as when Luke Skywalker uses the Force to help him perform the difficult task of blowing up the Death Star. I can't help thinking that in this idea of the Force there is the seed of a great philosophical theory. You could probably use the idea of the Force as a kind of launching pad or springboard to create a very interesting and viable philosophical theory, although you would probably need to go off in a direction rather different from the way the Force is depicted in Star Wars. Here is why the idea of a cosmic life-force seems worthy of exploring. Life in the universe has done and continues to do astonishing things that we cannot explain. Contrary to the overconfident dogmatic claims of many a scientist, we cannot explain the origin of life from inanimate matter, nor can we explain how life achieved such astonishingly coordinated complexity. Shallow generalizations such as “fit stuff prospers, and unfit stuff doesn't” (a concise way of stating the principle of natural selection) are not at all sufficient to explain the intricate machinery we see within cells and the astonishingly improbable three-dimensional shapes of protein molecules. We don't even understand how life behaves the way it now behaves. No one can give a coherent explanation of how it is that a tiny fertilized ovum is able to progress to become a baby. DNA is written in a “bare bones” language that seems to be incapable of stating the instructions for such a progression to occur. What we have in DNA is mainly lists of chemicals and on/off switches, but not either a three-dimensional blueprint nor a sequential series of instructions for building complex three-dimensional objects such as a human body. So from an explanatory standpoint it would be great if there were some cosmic life force that could help us to explain such things. Such a force might or might not be intelligent. Perhaps it might just follow general rules. We know that the cosmic force of electromagnetism follows a set of rules, but no one thinks electromagnetism is a conscious agent. A cosmic life force seems rather plausible when one considers that we already know of four cosmic forces, the four fundamental forces of physics (gravitation, the weak nuclear force, the strong nuclear force, and electromagnetism). But those cosmic forces are merely necessary conditions for the appearance of complex life; they are not sufficient conditions for such an appearance. (A necessary condition is something that must be present for something else to exist, but does not guarantee its existence; a sufficient condition for that thing is something that guarantees that it will exist.) From an explanatory standpoint, it would be useful to postulate some cosmic life force that acts as a sufficient condition for the appearance of life. Such a life force might play a role in the appearance of every complex living thing. It could be that the progression from a fertilized ovum to a human baby would never occur without inputs from some cosmic life force. If so, perhaps the Star Wars movies get things a little backwards when they suggest that life creates the Force. Perhaps it is more like: the Force creates life. A mysterious cosmic life-force might also help us explain various paranormal psychic anomalies that materialist scientists have tried to sweep under the rug. Their rug has a great big person-sized bump from all the paranormal anomalies they have swept under it. Some might like to believe in a cosmic life-force as kind of an alternative to believing in an active deity, although one could believe in both without contradiction. A deity wishing for life to exist throughout a vast universe might create some kind of cosmic life-force to reduce the need for divine interventions to be constantly occurring throughout the vast cosmos, just as a man might create a robot to do some of his work. Here are three suggestions I would give to any philosophical thinker trying to create a theory of a cosmic life force. Emphasize the explanatory value of such a force. Why believe in a cosmic life force? It won't do to say, “It's a useful plot device.” But if one can describe how postulating such a force might fill some of the holes in our understanding of the universe's evolution and unexplained psychic phenomena, such a cosmic life force becomes much more plausible. Dump the dark side of the force. In the Star Wars movies we often hear that there is a dark side of the force that leads people to evil. While that's a great plot device, I wouldn't think that it should have any place in a philosophical theory of a cosmic life-force. Evil can easily be explained by garden-variety stupidity and selfishness. We don't need a mysterious cosmic force to explain that. Democratize the force. In the Star Wars movies the Force has rather elitist connotations. The idea is that the Force can be channeled by only an elite few, the Jedi masters. A more appealing idea would be if everyone could somehow use a cosmic life-force to benefit in some way. If a philosophical thinker advances a theory of a cosmic life-force, that person is advancing a form what is called vitalism. Vitalism was rather popular in the nineteenth century, but vitalism has been officially declared extinct by modern biologists. But don't be deterred by that. Below is a translation of the type of things the modern biologist will say about vitalism. Vitalism used to be rather popular, but it was killed off when DNA was discovered. No scientist believes in any type of vitalism any more. It's a dead duck. Don't even think about digging up this dead horse from its grave ! It is officially forbidden for you to advance any theory that some life force or vital force is needed to explain the appearance or workings of life. This is a taboo that cannot be violated. Anyone advancing such an idea is a damnable heretic who has committed a thought crime in violation of official orthodoxy. What happened was that scientists declared vitalism dead in the 1950's on the ground that they had discovered “the secret of life” by discovering DNA. But DNA is only one of the many secrets of life, many of which are undiscovered. The human genome has been thoroughly analyzed, and we seem to have just as many unanswered questions about life as before DNA was discovered. The discovery and analysis of DNA has shed no light on the origin of life, and has made that origin seem all the more puzzling, since new questions were raised such as: where does the genetic code come from, and how could the first DNA have appeared? And DNA has not explained the mystery of morphogenesis, the mystery of how a fertilized ovum manages to progress to become a human baby. Nor has DNA done very much to explain the mysteries of the human mind. For reasons discussed here, such basic questions as “where and how is the body plan for humans stored?” have not been answered by studying DNA, which is mainly a list of chemicals which has neither a three-dimensional layout for body plans nor a sequential set of procedural instructions for building bodies. Given the persistent mysteries of life, there is still tons of room for a vitalistic philosophy based on the idea of some cosmic life-force. Claiming that DNA's discovery explains life's workings is like saying you can explain the strange workings of the US Congress once you have discovered a building plan for the US Capitol building. The Chinese have long had a theory of a vital force, one that they call qi or chi. Such a concept has been widely held for centuries, and has many serious adherents who claim to have evidence for it, in the form of medical benefits produced by making use of such a vital force. I cannot claim to have studied the evidence for such claims, so I won't say anything either for them or against them. Postscript: Although the latest Star Wars movie seems to have little emphasis on the Force (despite its title), in Episode 1 of the series (The Phantom Menace) it is remarkable how far the concept is developed. One character says he is sure it is "the will of the Force" that Anakin Skywalker be trained as a Jedi. And when Anakin's mother is asked who is the father of Anakin, she says there was "no father," causing the movie viewer to get the idea that perhaps the Force can cause a virgin birth.